As Windows 10 inches ever closer to its summer release, Microsoft's been adding new features piecemeal to the preview version of its next-generation operating system, and this may be the biggest update yet. 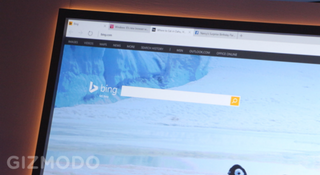 Microsoft's brand-new browser, Spartan, is about to get its first taste of open internet. We got a brief tour of Spartan at Microsoft's press conference in January, showing off features like live annotation, a mode built specifically for reading, and of course, Cortana integration. And now an early version is packed into the newest Windows 10 preview build. As is true with all preview builds, Microsoft warns in a blog post that this is not the final version, meaning expect some bugginess and a little rough-around-the-edges design.